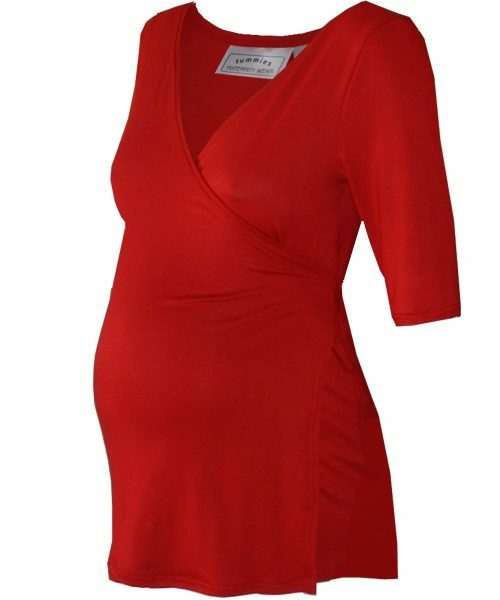 This Maternity drawstring front top is fitting on the bust with a slight and flattering flare on the skirt. The V neckline has a drawstring and is adjustable, allowing you to adjust the height of the neckline. Stretchy soft viscose lycra is the fabric we used, to give you great comfort and lots of growth space too. Available in 4 great colours suitable for all shapes and sizes. Wear with capri pants or shorts for summer. Maternity wear drawstring front top, the V neckline has a drawstring and is adjustable, allowing you to adjust the height of the neckline.